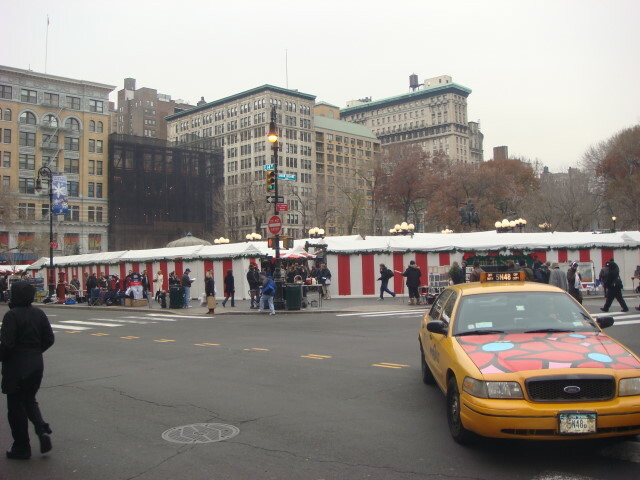 Once again: an open area in NYC during December? Put up some open-air shops! 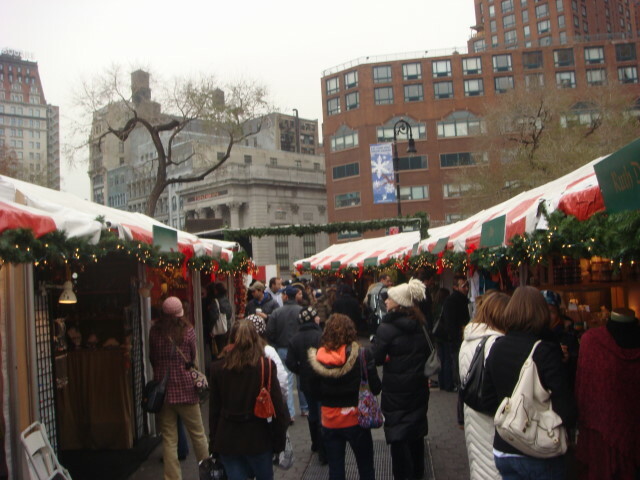 Union Square, one of my favorite places in all of NYC, goes whole hog into the Christmas shopping frenzy. As you can see, it takes up all of the cemented area at Union Square (the actual square is WAAAAY larger than this area, but this is where a lot of the real “stuff” happens). There are lots and lots of these little kiosks in the area. How many? Maybe 100 or so(?). There’s all kinds of places. Usually, it is small gifts for adults, but kids get their share of these. 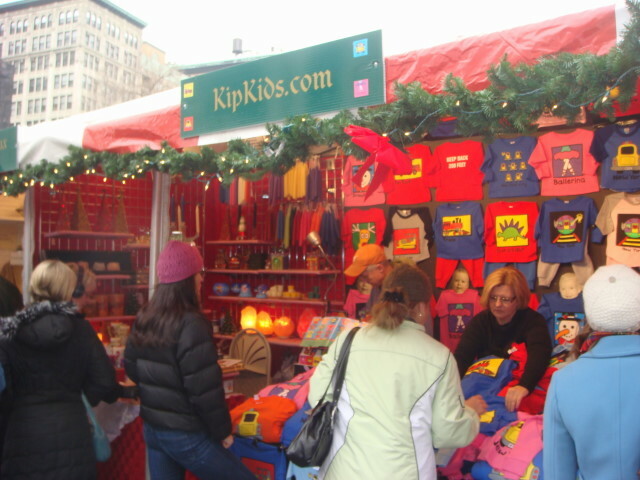 This “kipkids.com” shop was pretty well attended. 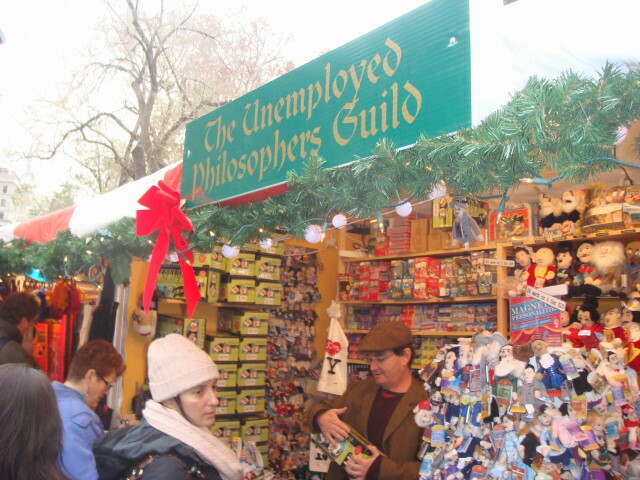 But my favorite is the Unemployed Philosophers Guild. I’ve seen them each year for the past three years. Great stuff! It’s as whimsical as you could hope for. 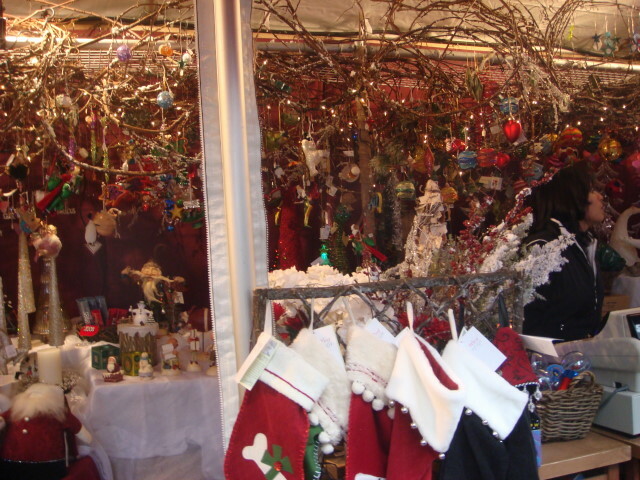 And, of course, lots and lots of Christmas decorations. Okay, I confess…I actually didn’t look for Schleiermacher. I oughta go back and look. I took a class on Schleiermacher many years ago and remember it fondly. I barely remember anything about his philosophy, but I can spell his name without any need of reference. This entry was posted on December 19, 2007 at 7:24 pm and is filed under Union Square, Wanderings. You can subscribe via RSS 2.0 feed to this post's comments. You can comment below, or link to this permanent URL from your own site.